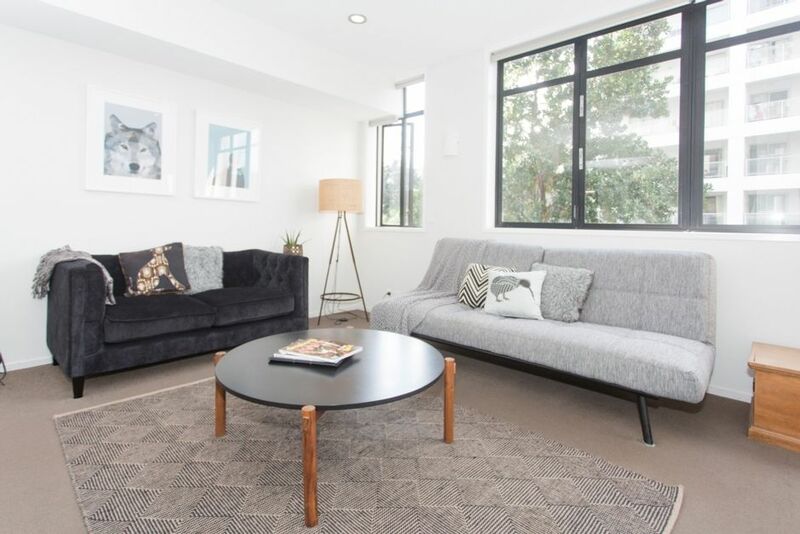 This character filled ultra cool apartment is a great base for your trip to Auckland whether it be for work or play. Well located and with plenty of space for up to six guests, it is ideal for small groups, families or couples. Be right on the doorstep of the best bits of Auckland - Britomart, the Viaduct and waterfront, Spark arena and of course some of the best bars and restaurants in the city. This apartment is located on the first floor of a lovely character building right on Anzac Avenue. There are only 16 other apartments in the building so it's very safe and quiet. The master bedroom has a large and comfy pocket sprung queen bed with quality and professionally laundered linen to ensure a wonderful nights sleep. The second bedroom is located off the lounge and has a super comfy double bed in it. This bedroom can be closed off with a sliding door or kept open studio style. The kitchen has modern cooking facilities and is completely self-contained. There is coffee, tea, sugar, milk, cooking basics and we always leave you some tasty snacks to enjoy. We have several other apartments in the area (including some in the same building where are perfect for larger groups travelling together) so if this one doesn't quite suit you needs, please get in touch. Please let us know if you require the sofa bed for your stay. Lost keys incur $150 replacement costs (plus any locksmith costs). No parties or events - the apartment building management stipulates no parties (there is an array of pubs, clubs and restaurants nearby). We are strictly non smoking andamp; there is a $1000 fee for breaching this condition. Modern furnishings, quality linen, unlimited WiFi and free Netflix all perfectly located in Central Auckland. Great central location, tidy apartment with everything we needed. Great central location, tidy apartment with everything we needed. It was well thought out and welcoming. Great location. Having the facility to hire their car park was another plus. It was an extremely wet and humid weekend the apartment was a little hot even with the fans going full pelt! Would recommend and definitely stay again. Thank you. The apartment was situated centrally for Aukland within walking distance of the centre. The apartment was situated centrally for Aukland within walking distance of the centre. It was spotless and very comfy. Only issue was no aircon and could not open windows. Only issue was no aircon and could not open windows. Great in every other way. Great little apartment in a perfect location! Apartment was really clean and tidy.